Howells Patent Glazing undertake contracts on either a supply only or supply and install basis, from cad design through to requisitioning, manufacturing and building. Howells Patent Glazing will also act as a main contractor, taking on small elements of building work and supporting framework. Howells range of patent glazing bars provides for inverted glazing bars to suit various systems. It can also incorporate smoke vents or opening lights. 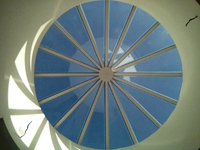 Howells Patent Glazing Ltd have recently incorporated a range of rooflights and preformed aluminium daylight constructions into their product range. They come in a wide variety of designs such as domed, saddle roof pyramid, barrel vault etc. 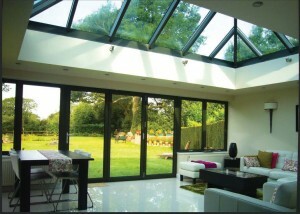 The rooflights are mounted on steel, aluminium, wooden or a concrete base. They can be supplied with ventilation sections which can be manually or electronically controlled, by switch, rain or smoke/heat censor. At their factory complex in Cradley Heath they manufacture and assemble their systems and then ship to site via their tailored transport.